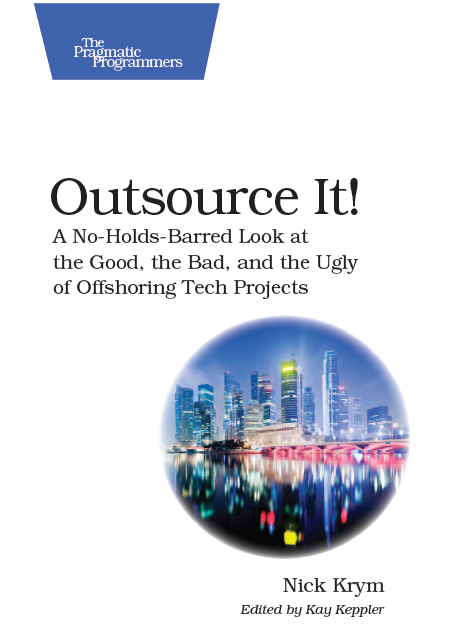 There are a lot of books covering multiple aspects of IT offshore outsourcing, running distributed projects, etc. I thought I will use this page as a running list of books that I find informative, thought provoking, or otherwise worth paying attention to. Updating the page turned out to be a pain in a neck and I decided to use Amazon store interface instead. I kept a couple items here and added entire store as a standalone site (WP doesn’t allow embedding it in the page). It is the same list idea, just different UI. Anyway, here it is – Nick’s Outsourcing Must Read Selection. If you have a suggestion please comment on the page I’ll do my best to look at it and assuming that I agree with your assessment will add it to the list, feel free also email me at krym2000-PO@yahoo.com as well. A fascinating and practical volume that is an excellent road map for those managers wishing to explore the concept and execution of moving parts of their business off shore. While the concept is known to everyone, especially after the last election, most managers lack even the general knowledge to realistically explore the options available. This book takes the beginner and even the experienced international businessman to a whole new level and allows them to rationally judge the value of this potential move. Additionally the country data will allow any young MBA a great opportunity to impress the boss by giving them the ability to not only suggest the concept but rate the potential targets. In this global economic crisis this is must reading and a book to keep handy. A ‘must read’ for serious companies considering outsourcing. outsourcing book. Trust me, its that much better.